Gary McAllister believes Liverpool will win the Premier League title over Manchester City by one point this season. Jurgen Klopp's side are currently second in the table, one point behind Manchester City with eight games to go. But the former Scottish international, who spent two seasons at Anfield, believes that come the final day it will be Liverpool who will be lifting their first Premier League title by the smallest of margins. Speaking to Sky Sports, Gary McAllister said: ""I've looked at both run-ins and done a predictor and I thought I would favour Manchester City. "But the way it's turned out I still have Liverpool coming out on top by a point." 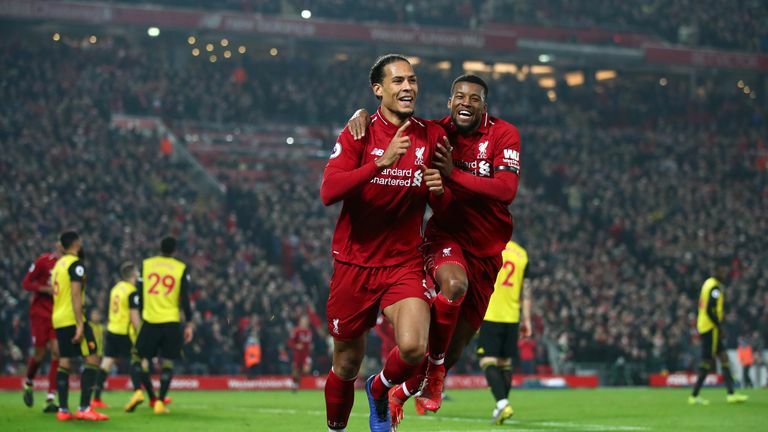 The 54-year-old also admits the pressure for Liverpool to lift their first league title since 1990 is 'immense' but the side have to take each game as it comes. "There is immense pressure and the players will be well aware of it - even though they will say they are not taking it into consideration," added McAllister. "But they've just got to try to focus on each and every game and take each one in isolation."